Jessica grew up in a small town outside of Savannah, GA and recently relocated to Blacksburg from Raleigh, NC. She holds a Ph.D. in Forestry and Environmental Resources from North Carolina State University, as well as a master’s degree in environmental public health and bachelor’s degrees in biology and sociology. Her work broadly focuses on integrating and translating perspectives from the critical social sciences to improve the outcomes of biodiversity conservation. For the past three years, she has been studying efforts to restore populations of the functionally extinct American chestnut throughout the Appalachian region of the U.S. using hybrid and transgenic trees. These trees are some of the first engineered organisms designed to spread freely in the environment, and her research focused on how to make decisions about their use in ways that are forward-looking and democratic. In particular, she explored how knowledge co-production through citizen science, interdisciplinary research, and community dialogues has improved the ability of scientists to anticipate the impacts of chestnut reintroduction and allowed public groups to shape this project in meaningful ways. 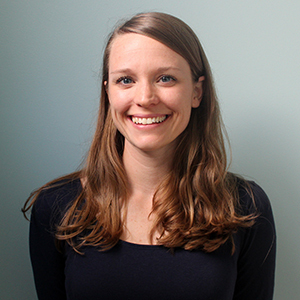 Jessica has also studied sea level rise in coastal North Carolina; leatherback sea turtle conservation in Trinidad; agricultural pests in Mexico; and non-native plants in Georgia and across the globe. She is eager to apply what she has learned about managing species that cross political boundaries and value systems to the world of bird conservation. At home, she enjoys cooking and eating good food and walking in the woods with her husband and daughters.